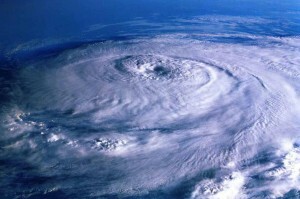 You are here: Home / Blog / Hurricane Season Is Here | Be Prepared! Hurricane Season Is Here | Be Prepared! Today is the official start of the 2010 Hurricane Season, and our thoughts, hopefully, turn to implementing a protection plan for our homes, families, pets, etc. Hurricanes are not a “minor inconvenience;” their damage can be devasting, and long-lasting. If you are a business owner, you could lose more than just your home, you could lose your entire source of income! So it makes sense to protect your home or office windows from the destruction caused by windborne debris. Safety and Security Window Film is a well respected product that may add a level of protection against debris that would otherwise shatter glass and allow the wind and rain to enter your home or office – not only causing great damage, but possibly lifting the roof off the structure – completely exposing your prized possessions to ruin. Keeping glass in the window openings is vitally important to protecting your home or place of business if it is to remain intact. After the storm, safety film may provide a deterrent against burglary or looting. Safety and Security film can give you a vastly improved level of protection when properly installed. However! It must be remembered that, once installed; safety film is a component of your overall glazing system, and as such relies on the structural integrity of that glazing system to give you the level of protection that you may be hoping for. Safety film is a legitimate storm protective product; however, installing it on glazing that is not of adequate quality or structural strength will result in less than adequate protection. If you are interested in Armorcoat Safety and Security Window Film as a protective product for your home or office, we would encourage you to call us for a professional and knowledgeable consultation. Thirty-seven years in the film industry has endowed us with a level of competence not always found in other window film dealers. Call today.